It was a beautiful day as Julie and Charlie embarked on their journey to their happily ever after! The day began with the couple getting all dolled up together. Julie had her beauty accentuated with lovely hair and makeup, which was completed by Flawless Bride. 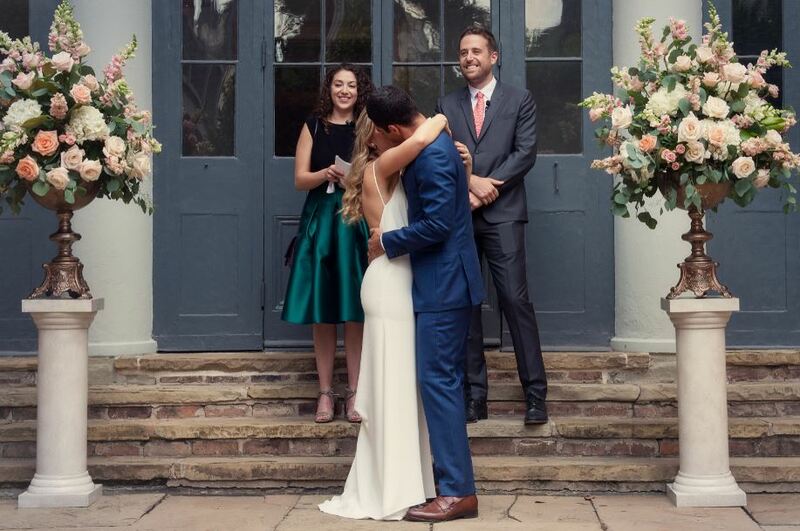 Her look complemented her stunning slim-fitted wedding dress beautifully! And, let’s not forget about Charlie, who looked absolutely dashing in his suit! 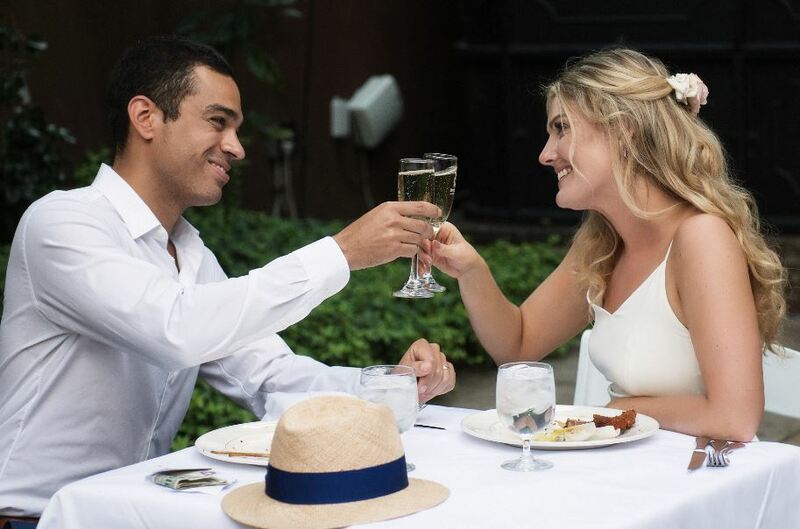 The beautiful couple then ventured outdoors where they captured intimate photos with one another, showcasing the romantic bond that they have created together. 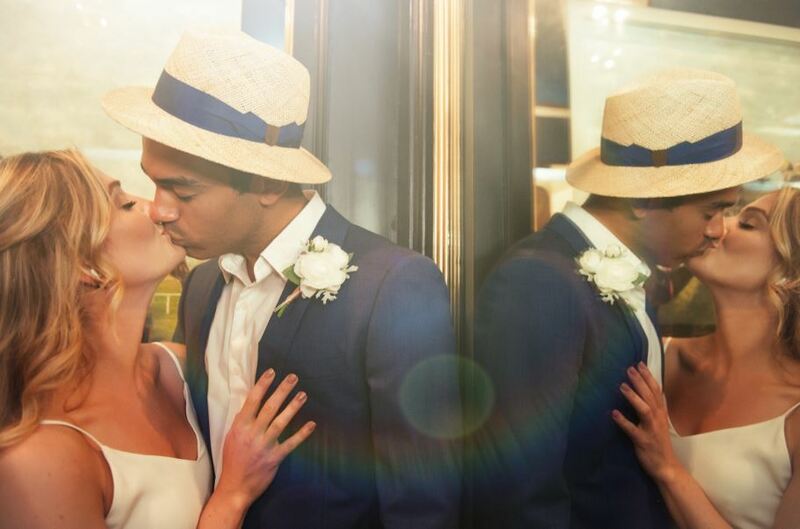 The vetted photographer, Julia Bailey Photography, certainly did a wonderful job capturing their love story! 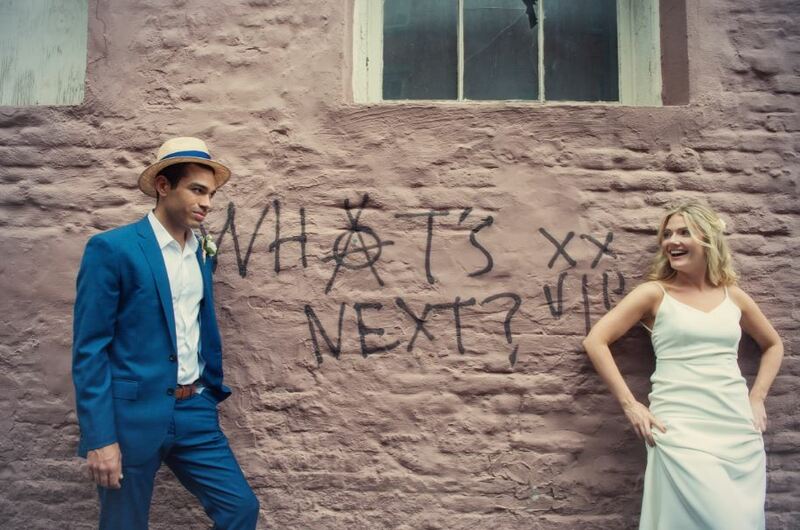 Julie and Charlie then made their way to Hermann-Grima House, where their wedding ceremony took place. 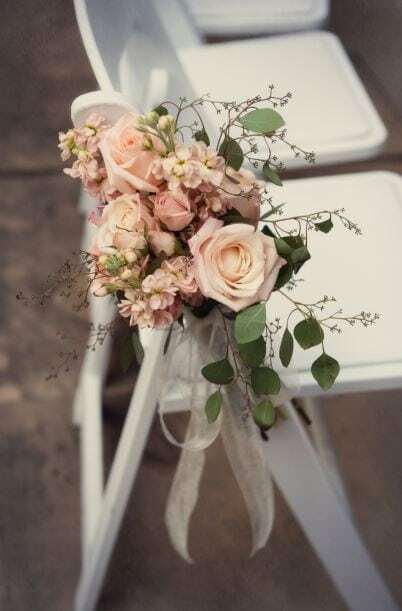 Julie made her way down the aisle to elegant sounds of violins and guitars, played by Harry Hardin, along with lovely pew bouquets adorning the rows of chairs. Once she arrived at the altar, her and Charlie were surrounded by gorgeous floral arrangements among pedestals, adding a great deal of elegance to their nuptials! 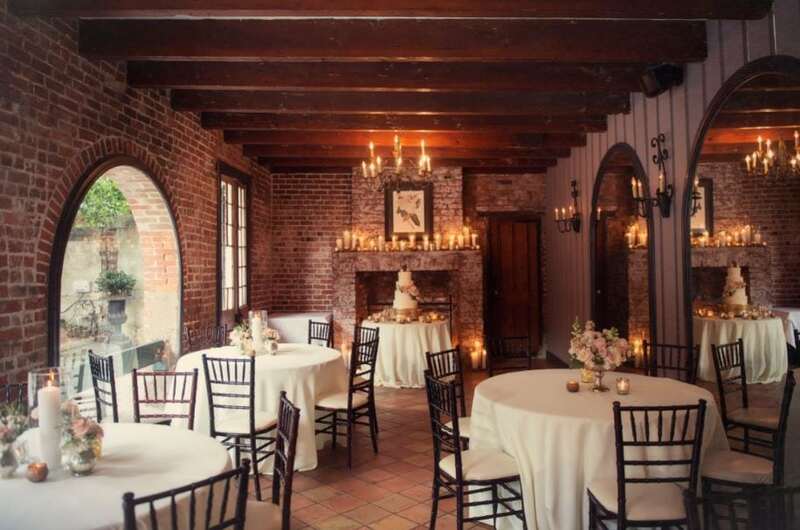 After vowing their love to one another, the newlyweds and their guests headed to Broussard’s Restaurant & Courtyard, where the wedding reception took place. Everyone was greeted with absolutely stunning décor! 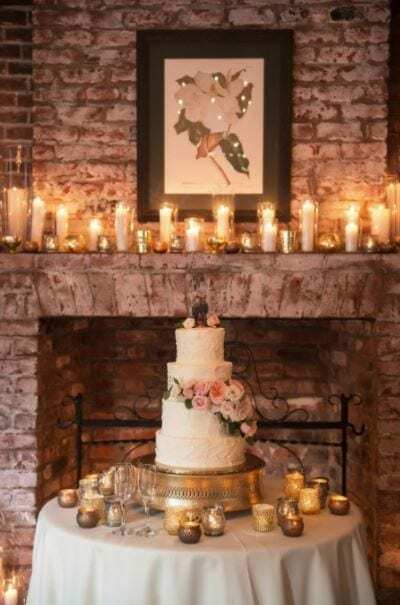 The luxurious floral arrangements were created by Glenda Ivy Candles & Décor, while elements of décor were created by New Orleans Candlelight Décor. 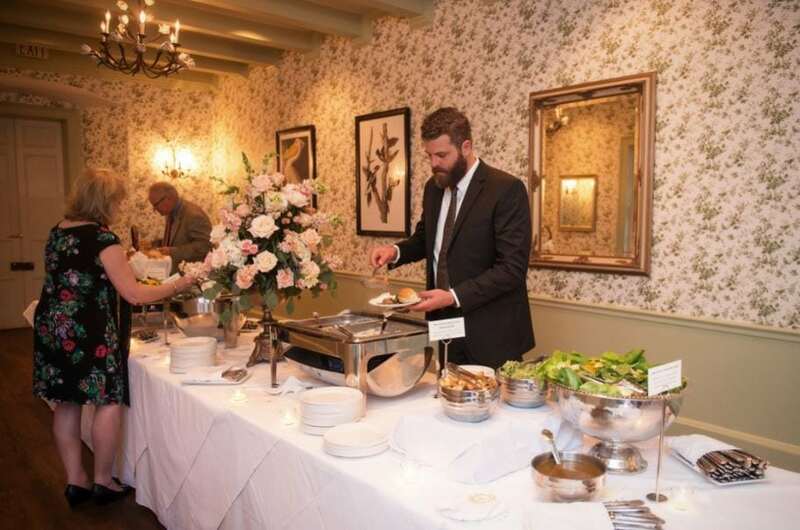 Surrounded by gorgeous décor, everyone enjoyed indulging in a scrumptious meal, with foods ranging from oysters on the half shell to angus beef tenderloin with truffle bordelaise sauce! And, let’s not forget their towering tiers of sugary goodness…the cake! Which was deliciously baked by Nikki’s Frosted Fantasies. 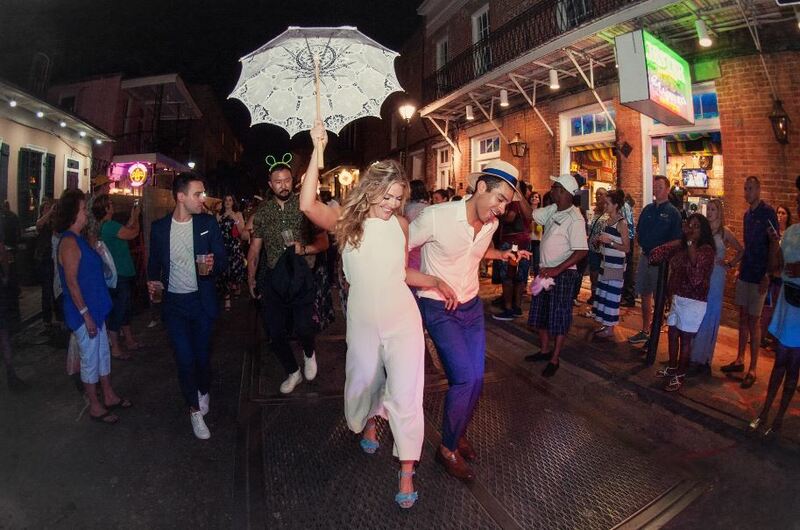 Accompanying the beautiful décor and delicious food, there was a great deal of fun to be had! 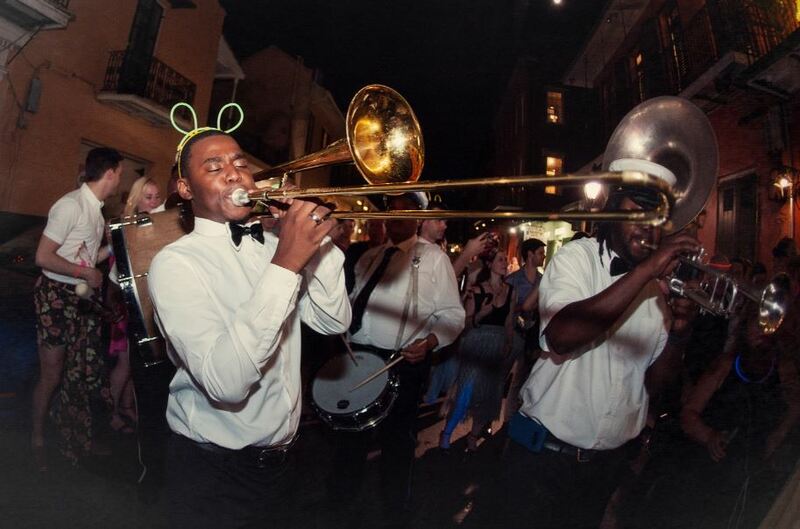 The couple took part in a second line parade, umbrellas in hand, by music presented by Kinfolk Brass Band! In addition, Tarot card readings were are also available to take part in…how entertaining! Everyone also enjoyed dancing the night way to the festive sounds that the band BRW presented. 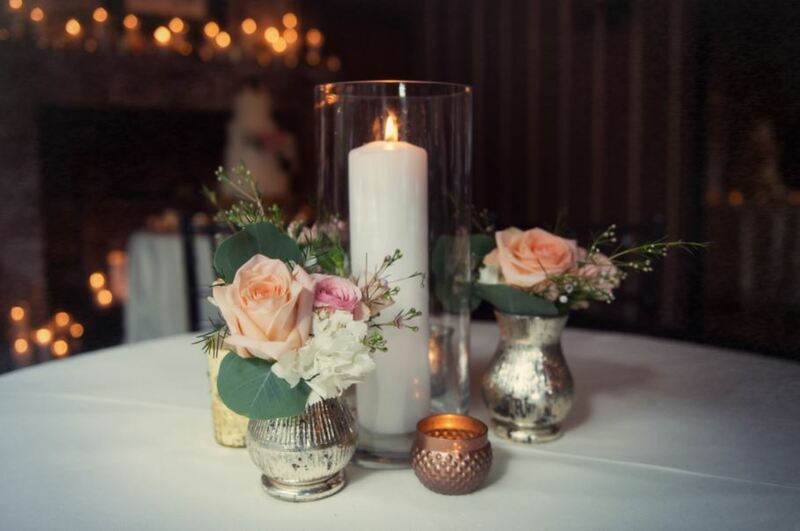 We were so pleased to be a part of such a romantic and festive event here at Unique Weddings & Events, and would be honored with the opportunity to be a part of yours as well! 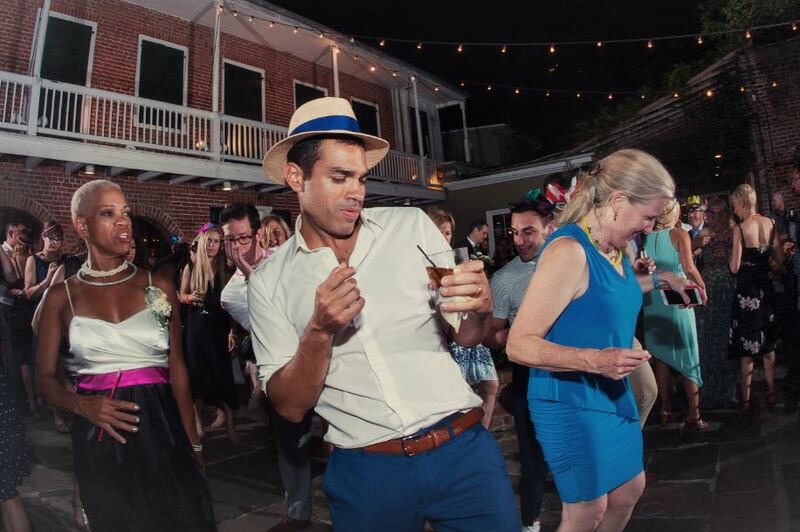 So, if you are all set to bring your own big day to life with a wedding planner in New Orleans, Louisiana, please get in touch with us today.